Naresh Sohal died suddenly of a massive heart attack on 30 April 2018, aged 78 years. He died on Buddha Purnima, the day that in the current year, in India and Nepal, marked the birth, death and enlightenment of Buddha. If he had been able to comprehend this fact, it would have given him some satisfaction. Critics sometimes tried to categorise Sohal’s music as an attempt at Anglo-Indian ‘fusion’ or as ‘musical exoticism’. He shunned both labels. He was adamant that he was interested not the melding of musical traditions, but in the philosophy of the Indian sub-continent, and in what it had to say about the ultimate purpose of human life. His aim was to give expression to ideas first formulated in the Upanishads and the Vedas, and to use the forces afforded by Western classical instruments and artistes, and the orchestra in particular, to best advantage to do it. He dedicated much of his musical life to this goal, producing well over sixty compositions, of different magnitudes in the process. His first major Prom piece, The Wanderer, deals with the bleak realisation that we are alone in the universe; Lila describes the process of spiritual enlightenment; Tandava Nritya is an account of the endless cycle of destruction and recreation that drives the universe; the ballet Gautama Buddha explores the life of Buddha; his second major Prom piece, The Cosmic Dance, deals with the origin of the universe from a Vedantic perspective. He drew on the poetry of the sub-continent, setting poems by Rabindranath Tagore and then Waris Shah and Bulleh Shah. He broke new ground by using Punjabi as well as Bengali and Sanskrit in his work. But over and above this, Sohal also produced three concerti and a wide variety of chamber pieces, including a very fine clutch of string quartets. Sometimes he wrote for non-orchestral instruments to help extend the repertoire for performers. His work offers varying degrees of challenge, so that there are pieces that are within the reach of both amateur and professional ensembles. He was no academic, although he could talk fluently about composition. He was mainly self-taught but benefited for a while from the perceptive guidance of the composer Jeremy Dale Roberts. He learned much in his early years from working as a copyist for Boosey and Hawkes. His own work was bold, dramatic, adventurous and uplifting. He revelled in creating varied orchestral colours and textures. His work was and is performed internationally. He had constructive working relationships with conductors Zubin Mehta, Sir Andrew Davis, Martyn Brabbins and Peter Oundjian; sopranos Jane Manning and Sally Silver; ’cellists Rohan de Saram and Anup Kumar Biswas, and violist Rivka Golani, among others. Chinese virtuoso Jiayi He (harmonica) and Spanish virtuoso Iñigo Mikeleiz Berrade (accordion) are active proponents of his music. In 1987, the Government of India awarded him a Padma Shree (Order of the Lotus) for his services to Western classical music. Sohal looked considerably younger than his 78 years. He practised meditation daily and was busy working on commissions for the South Bank and Tara Arts when he died. 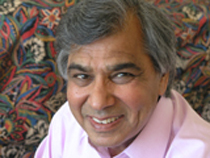 Naresh Sohal: born 18 September 1939, died 30 April 2018.